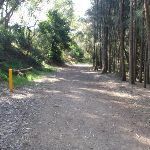 This walk starts from Pastow train station and follows the streets to the end of Bridge street before it heads down stream along the boardwalks, service trails and bushtracks that follow the creek. 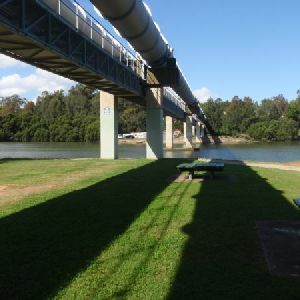 As the walk winds along the creek, it passes the Davies Reserve and the small picnic area under the large pipe bridge. 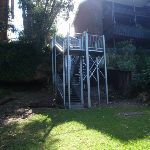 The walk then comes to the smaller Salt Pan creek picnic area, on the creeks edge, with a metal staircase providing access to Werona Avenue. From the railway station, this walk heads along Howard Road (initially keeping the train line on the left). The walk passes the shops and continues straight ahead at the roundabout onto Ryan Road. At the end of Ryan Road, the walk turns left and cross Davies Rd at the traffic lights. This walk follows the footpath towards the train track, soon coming to the intersection with Meager Avenue. This row of shops on Howard Road, near Padstow Railway Station, consists of quite a number of stores including grocery, newsagents, pharmacies, small restaurants and cafés, among many others. More shops can be found on the same block, on Padstow Pde or Faraday Rd, as required. Continue straight: From Meager Avenue, this walk follows the footpath on Davies Road, which soon heads over the railway bridge. A bit further along Davies Road, the walk turns right into Bridge Street, following the footpath to the car park at the end of the the street. Turn right: From the end of Bridge Street, this walk follows the footpath, initially towards the train line, keeping the transmissions tower on the right. 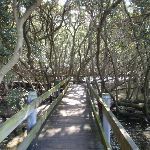 The footpath soon turns into a boardwalk, which this walk follows through some mangroves and out the other side to the creek. The boardwalk soon comes to a wooden footbridge crossing Salt Pan creek. Turn right: ###This section of the track is closed for End of 2010 to sometime in 2011. Please walk along Meager Ave from Davies Rd as an alternate route### From the intersection, the walk passes under the railway bridge and along the boardwalk, as it winds around the edge of the creek and through some mangroves to a hardened footpath. The footpath leads up a gentle hill for a short distance to the end of Meager Avenue. Veer left: From the end of Meager Avenue, the walk heads past the blue information sign on the left, towards the large transmission towers. The footpath continues parallel to Salt Pan Creek, passing the back of some houses through the grass clearing. The footpath joins the end of a boardwalk that soon comes to an intersection with the Truro Parade boardwalk, on the right. Continue straight: From the intersection, this walk heads along the fenced boardwalk parallel to the power lines (with the open wetlands to the right) for a short distance until coming to the Davies Reserve. 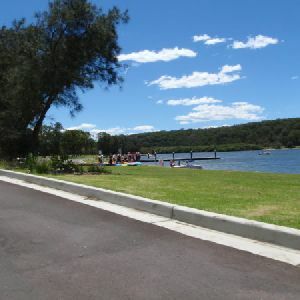 This park can be accessed from the end of Tallawarra Ave or directly from Davies Road in Padstow. 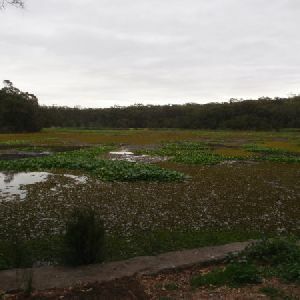 The Reserve is one of the spots along the Salt Pan Creek walking track. 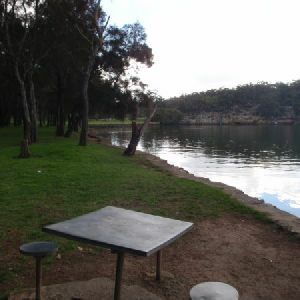 The facilities provided at this reserve include play equipment, a toilet block and picnic tables and seats. There is plenty of open space, and shade from a few large trees. There is parking for about 20 cars. 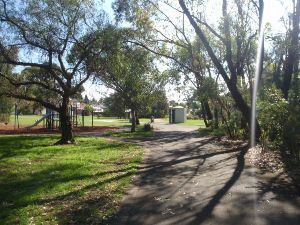 Turn left: From under the power lines at Davies Reserve, the walk follows the sealed management trail towards the creek, down the hill (initially with the play equipment on the right). The trail soon turns right and heads parallel to Salt Pan Creek. The walk continues, until the trail opens out from the trees at the picnic area under a large pipe bridge. 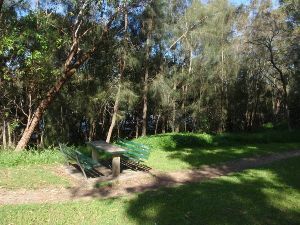 This small picnic area has a collection of low picnic tables in a grassy clearing by the edge of the Salt Pan Creek. The large pipe bridge crossing the creek provides some shade during the heat of the day. There are no water or toilet facilities. The unfenced edge of the picnic area provides clear access to the creek. This is one of the few spots along Salt Pan Creek walk where there is a clear view of the creek. Continue straight: From the picnic area, this walk follows the bush track, keeping the river to the left for a short while. Soon the track becomes a wooden boardwalk and continues to the bottom of Weenamana Place steps, which head up to the right. Continue straight: From the bottom of the steps, this walk follows the boardwalk, keeping Salt Pan Creek on the left. 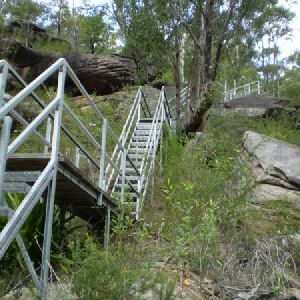 The walk soon climbs up some steps onto a bush track, and continues along the side of the creek until it drops back down some more steps to the Salt Pan Creek picnic area. 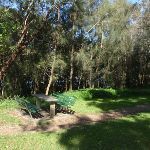 This small picnic area on the Salt Pan Creek walking track can be accessed directly from the stairs at the end of Werona Ave. This clearing provides a couple of picnic benches and tables, natural shade and a small, grassy clearing. The space if big enough for a bit of running around or to spread out a picnic blanket. The picnic area is on the edge of Salt Pan Creek, with dense mangroves along to river bank. There are a number of houses overlooking the area from the cliffs above. 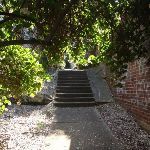 Turn right: From the picnic area, the walk up the metal staircase and onto a concrete path, which heads up another set of stairs, between some houses to the end of Werona Avenue. 2.1km of this walk is flat with no steps and another 390m has gentle hills with occasional steps. The remaining (70m) has short steep hills. Around 2.1km of this walk follows a smooth and hardened path, whilst the remaining 460m follows a clear and well formed track or trail. Around 2.3km of this walk is clearly signposted, whilst the remaining 290m has directional signs at most intersection. This whole walk, 2.6km requires no previous bushwalking experience. This whole walk, 2.6km is not usually affected by severe weather events (that would unexpectedly impact safety and navigation). This whole walk, 2.6km is close to useful facilities (such as fenced cliffs and seats). 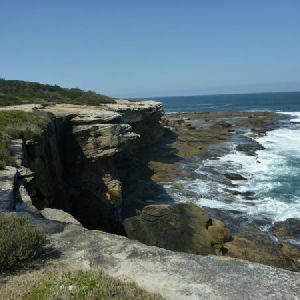 A list of walks that share part of the track with the Padstow to the Salt Pan Creek Picnic Area walk. 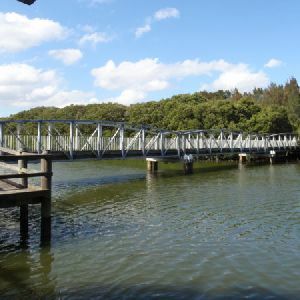 This short, leisurely, wheelchair accessible walk starts from the Davies Reserve and follows the concrete service track through the trees, keeping to the right of Salt Pan Creek until coming to the neat little picnic area at the base of the large pipe bridge. 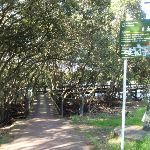 This leisurely creek side walk follows the footpaths and boardwalks from Davies Reserve to the footbridge crossing Salt Pan Creek, just upstream from the railway bridge. 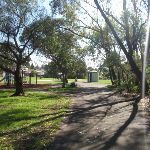 The only facilities along this walk include seats and a toilet block at Davies Reserve. This is a nice way to explore the mangroves and willows along the river. 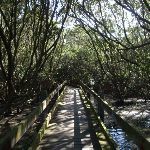 This great walk starts from Davies Reserve and follows the service trails, footpaths, boardwalks and bushtracks winding downstream along the edge of Salt Pan Creek. 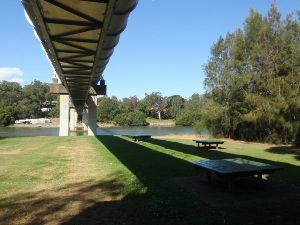 This walk passes a few picnic areas along the way, before crossing under the Henry Lawson Drive bridge and climbing up the wooden staircase on the other side, to the road. This short walk starts from the corner of Alma Road and Wainright Avenue and follows the footpath down to Salt Pan Creek walk. 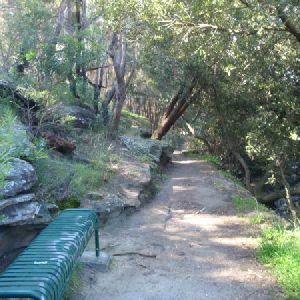 The walk then follows the creek upstream along the boardwalks and bushtracks, passing a few great picnic areas and parks to the end of Bridge Street. From here the walk follows the roads across the railway bridge and along to the Padstow train station, where there are a few shops. This relaxing, return walk starts from the Padstow train station. 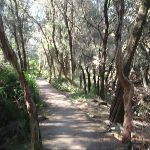 The walk follows the streets to the end of Bridge street, then the boardwalks, footpaths and service trails along the right hand side of the creek, passing through Davies Reserve. The walk finishes at the pleasant little picnic area at the base of the large pipe bridge, down at the waters edge. 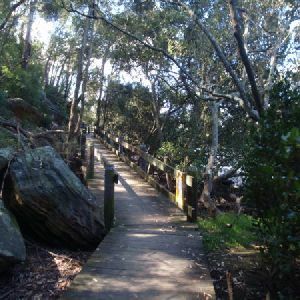 This pleasant walk starts from the Morgans Creek park, at Henry Lawsons Drive, and follows the Georges River past the Boomerang Reserve, winding through the bush around Mickeys Point and under the Alfords Point bridge. 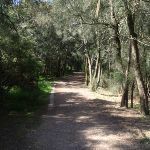 The walk then continues up through Padstow Heights to the Henry Lawson Drive Bridge where it follows the boardwalks, bushtracks and service trails along Salt Pan Creek. The last section is along the roads to Padstow station. 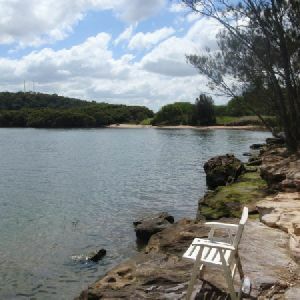 A list of walks that start near the Padstow to the Salt Pan Creek Picnic Area walk. 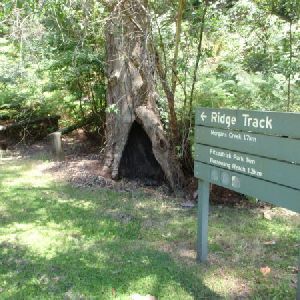 This circuit walk follows the well signposted Ridge Track as it winds up through the bush between Henry Lawson Drive and the Georges River. 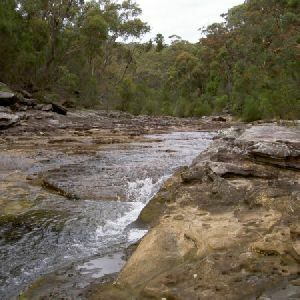 The walk starts at Morgans Creek picnic area and heads back down to the river at Cattle Duffers Flats, then loops back to the start along the driveway. This walk is a great way to explore the diverse plants, and views of the park. 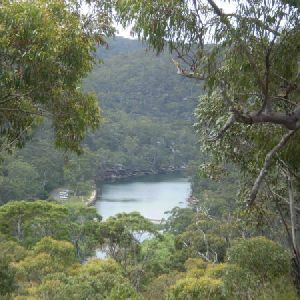 This short walk follows part of the Ridge Track through the Georges River National Park. The walk follows the first section of the Ridge track before turning down to the Burrawang Flats. 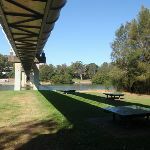 From here, the walk follows the driveway and Georges River past a number of picnic areas to return to the start. There are several opportunities for picnics and rest stops along the way. 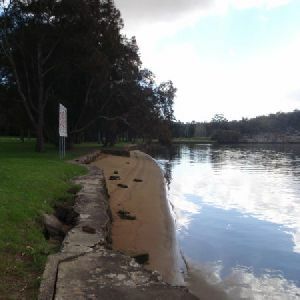 This pleasant, wheelchair accessible walk starts from the Lambeth Reserve and follows the footpaths and boardwalks along the Georges River’s edge to the tip of Picnic Point, where there are picnic areas and some food available at the boat shed. 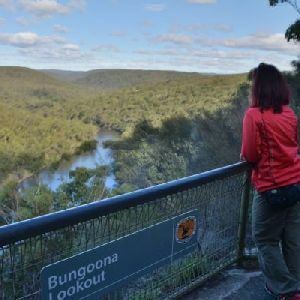 This pleasant loop walk circumnavigates the Yeramba Lagoon, following a series of small bush tracks that undulate along the side of the hills in the surrounding area. 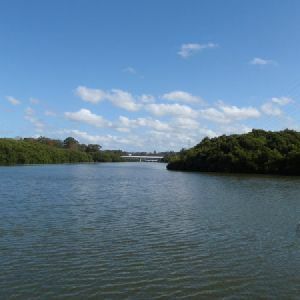 The Yeramba Lagoon is a great spot for bird watchers, and is a home to more than 100 species of birds. 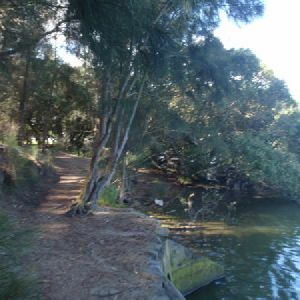 This walk starts from the end of the Fitzpatrick Park driveway and follows the Georges River. The walk heads downstream along the waters edge, through the park and across the bridge, to the half way point at Henry Lawson Drive. From here the walk continues along a series of bush tracks, winding along the ridge, around to the Georges River National Park driveway. 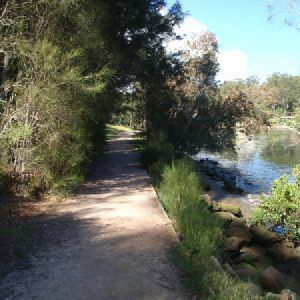 This walk starts from the end of the Fitzpatrck Park driveway and follows the Georges River through the park, where it comes to Yeramba Lagoon. From here the walk explores the lagoon, following the bush tracks around in a big loop before coming back to Henry Lawson Drive and continuing along the ridge track, winding along the hill to Morgan’s Creek. 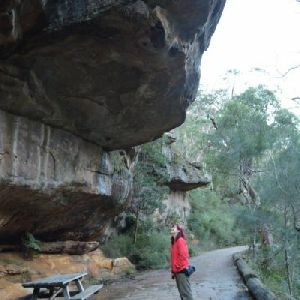 http://new.wildwalks.com/wildwalks_custom/includes/walk_fire_danger.php?walkid=nsw-georgernp-pttspcpa Each park may have its own fire ban, this rating is only valid for today and is based on information from the RFS Please check the RFS Website for more information.